It's good to know what's involved. Before you install bamboo flooring, make sure that your subfloor is dry and level. If you’re using underlayment, lay it down. Make sure you research what type of underlayment is best for your bamboo flooring. 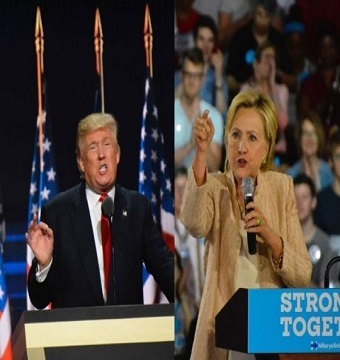 Next, find the longest wall in the room. The exterior wall is generally the longest, however, for some rooms, the interior wall will be the longest. Mark a line parallel to this wall, about three feet away, all the way across the room. This will be your reference line, so make sure it’s straight. Using your reference line, lay down a few test planks. You want to make sure you don’t end up with very skinny planks at the edges of the room. To ensure this doesn’t happen, you may have to trim the planks at one end of the room a little. Overall, try to make sure the planks at the edges are no less than half their width. Many bamboo floor planks can be nailed or glued down. You can also install floating bamboo flooring. 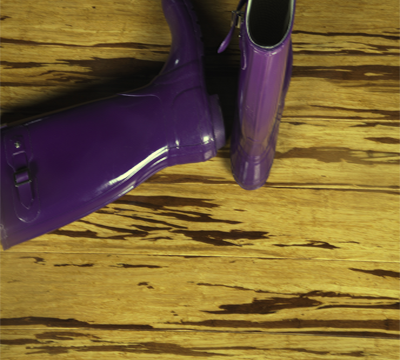 The nail-down method is most popular for those with wooden subfloors. Glue-down planks work well for those with cement. For do-it-yourselfers, the floating floor method is the easiest to install, and it’s a good option for those with subfloors that are hard to remove, as it can be easily installed right over existing floors. Begin your installation according to the method you choose. If you chose nail-down bamboo flooring, then align your planks and nail them down. Make sure the nail gun is aligned at an angle to ensure the nails will not be visible. If you’re gluing them down, it’s best to work in small sections, snapping the planks together with the rubber mallet for a tight fit. The fastest and most cost effective method is the floating planks that are snapped together. Using the rubber mallet, make sure the bamboo planks fit tightly and securely. 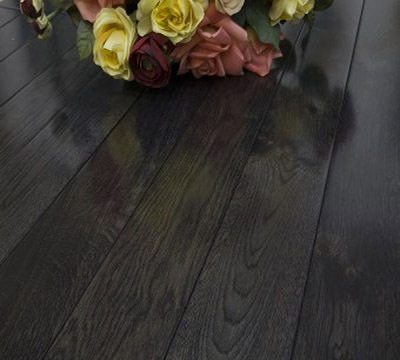 Lay your initial planks with care, as the rest of your flooring will be based off your first planks. As you progress outward, make sure you’re staggering your seams so you don’t have equal horizontal lines going across your floor. Staggering the seams makes your floor stronger and more stable as a whole. When you install bamboo flooring, make sure you leave space at the edges of the room for the bamboo planks to expand. Once you’ve laid all your planks, secure them tightly together with the pry bar. You can then replace the molding along the base trim to hide the expansion gap. Where your bamboo flooring meets a different room or type of flooring, install a transition bar of your choosing. 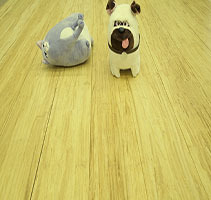 Clean your new bamboo floor to remove any dust, dirt, or debris from installation. Allow a period of 24 hours to pass for the floor to settle before placing heavy appliances or furniture in the room. Though bamboo flooring is durable, it should be treated with the same care as are other types of hardwood floors. 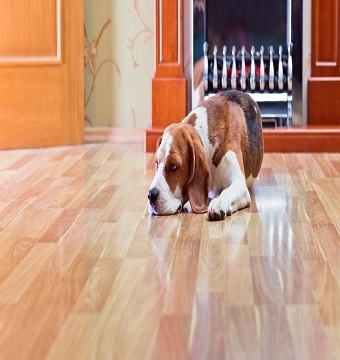 Take care to protect your bamboo floors from dents and scratches. Rubber or felt tips should be fixed to the bottoms of chairs and couches to prevent scrapes. Ferma Flooring is a wholesale flooring designer, manufacturer, and importer based in Edison, New Jersey. 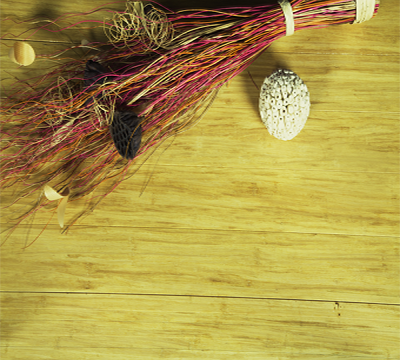 View our bamboo flooring selection online, or stop by one of our retailers near you. Even if you're not going to install bamboo flooring yourself and you're having a professional do it, it's good to know what's involved.